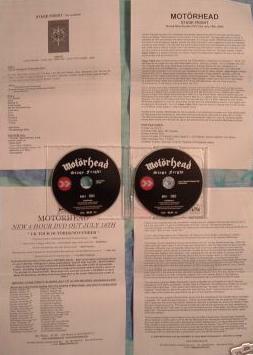 Upon the occasion of Motorhead's 30th anniversary, this release stands as a testament to the band's enduring power, charisma, and hard-rock chops. 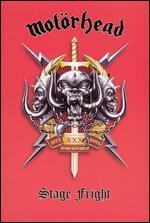 The record of a show held at Phillipshalle in Düsseldorf on December 7, 2004, the set list includes songs from throughout the band's long career, including "Overkill," "Iron Fist," and "Ace of Spades." Shot with 23 cameras orchestrated by Sven Offen, who has worked with such bands as Papa Roach, Heather Nova, Grönemeyer, and Die Toten Hosen, the lighting was done by Rammstein regular Gert Hof. 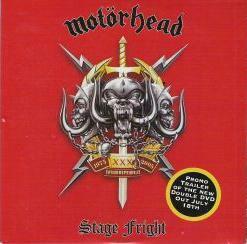 STAGE FRIGHT is also chock-full of interviews with everyone from Motorhead members to their cook and roadies. Motorhead mastermind Lemmy Kilmister explains his longtime devotion to the band, and guitarist Phil Campbell and drummer Mikkey Dee provide insight into the group, and the rock & roll life in general.